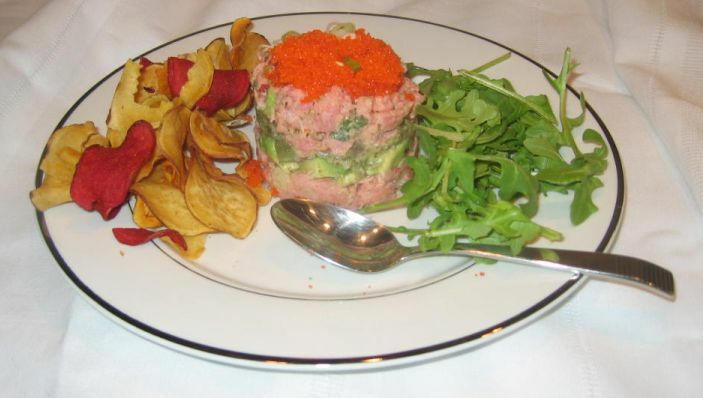 What is a tartare? 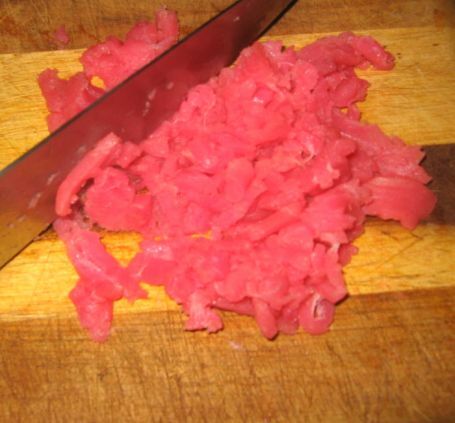 Tartare is a preparation of finely chopped raw meat or fish optionally with seasonings and sauces. I opted for a Tuna tartare. 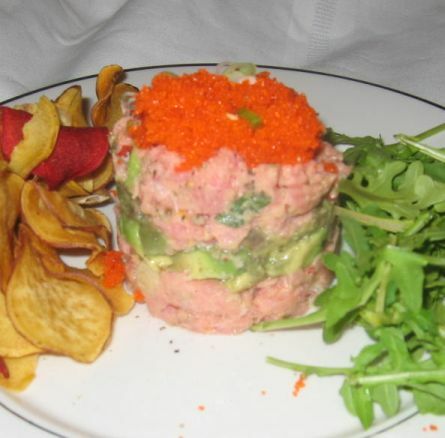 I know that not all of us are sushi fans, but if you like raw ahi tuna, sashimi style, this delicious Tuna tartare dish might be a nice change of pace. 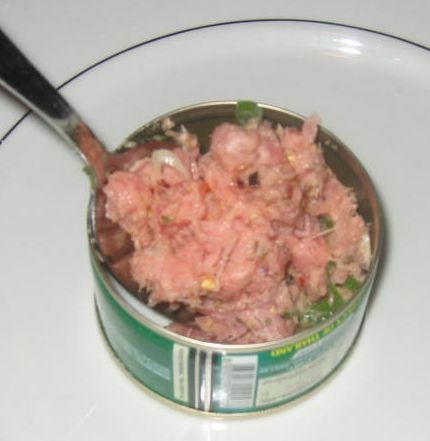 Since the Tuna is going to be the main ingredient for this dish, it is best to use sushi grade Tuna. 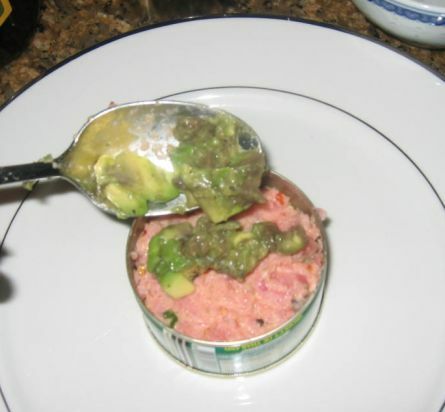 For this dish I added a layer of avocado in the middle of two layers of Tuna tartare and then topped it with a layer of fish roe. 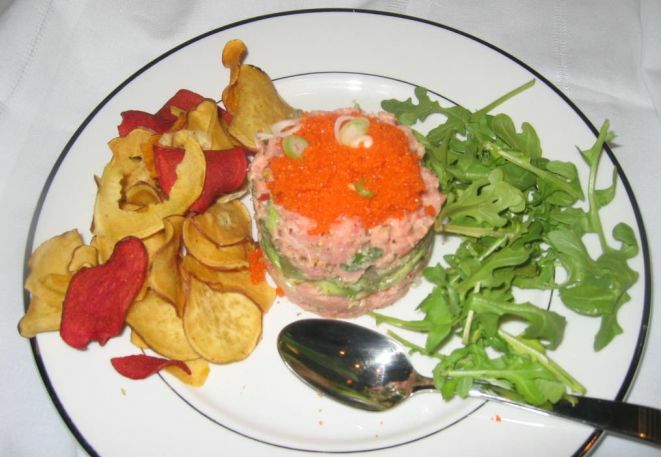 Assorted chips, and arugula salad are served together with the Tuna Tartare. 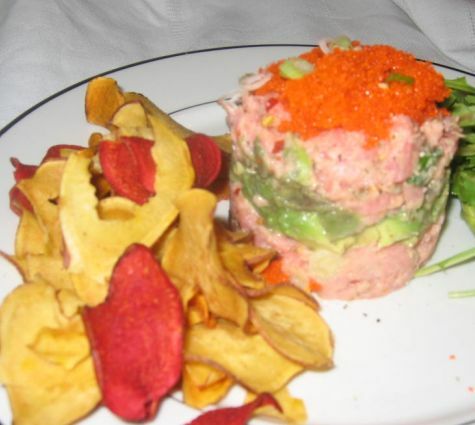 Close look at the Tuna Tartare. 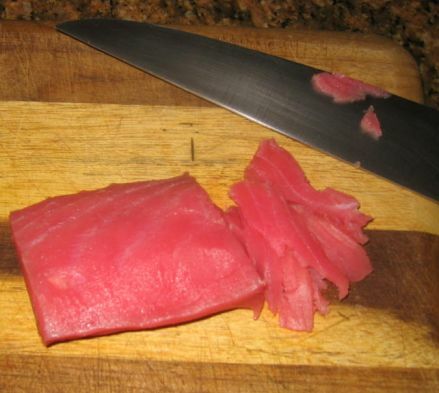 Slicing the tuna into very thin slices, about 1/8-inch thick and then cutting each slice into 1/8-inch thick strips. Next, the strips are then cut into tiny dice. 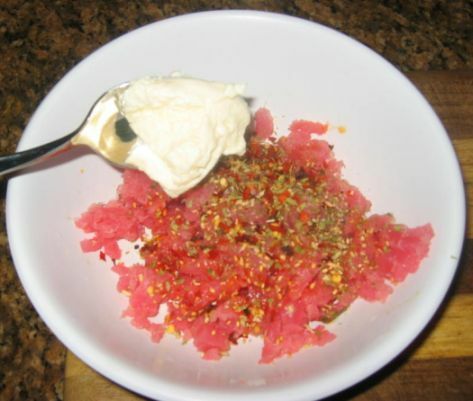 Seasoning the Tuna with sesame seed, chili oil, sea salt, pepper flakes, and a spoon of Mayonnaise. 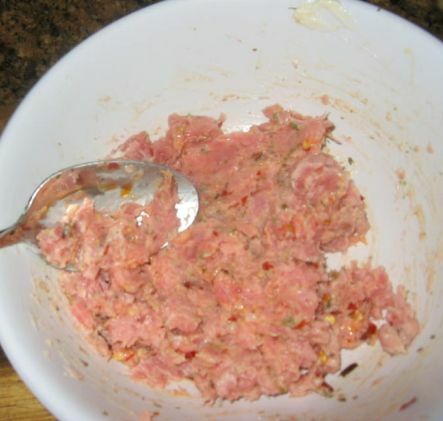 The tuna is mixed carefully and then set aside. 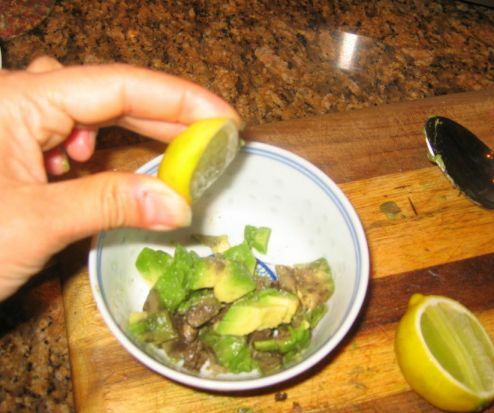 The avocado are cut into cube and seasoned with lime juice, salt and a dash of olive oil. 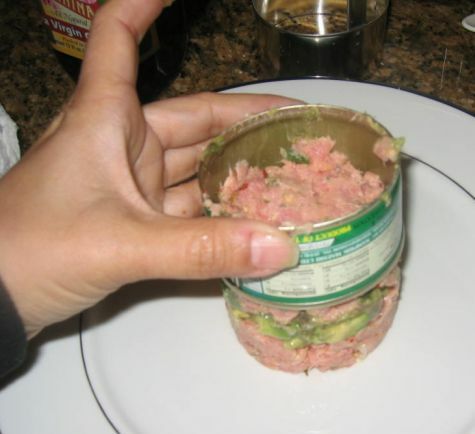 I placing a mold in the middle of a plate and then the Tuna mixture is spooned in. and another layer of Tuna Tartare is added to the mold, The whole mixture is then pressed down and then the mold is lifted.